The African Sisters Education Collaborative (ASEC) provides the education and training to help Catholic women religious, both African and American, serve the greatest needs of the dear neighbor throughout Africa. The four-pronged approach includes Higher Education for Sisters in Africa (HESA); Sisters Leadership Development Institute (SLDI); Bigwa School; and Service Learning. 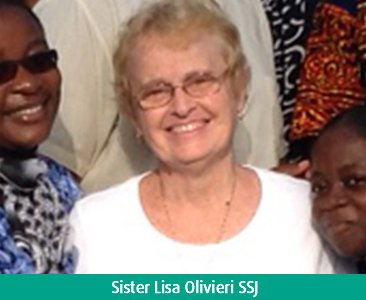 As part of the HESA Program, Sister Lisa Olivieri SSJ, an Associate Professor of Computer Science and Technology, has traveled to Africa seven times to teach Sisters there. Click here to read more about Sister Lisa.